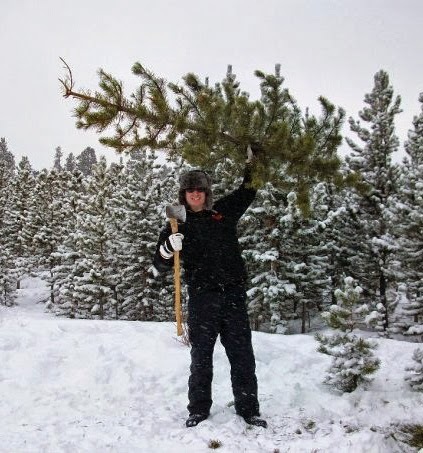 Tahoe Truckee Outdoor: Tahoe Christmas Tree Cutting Permits selling soon. Tahoe Christmas Tree Cutting Permits selling soon. 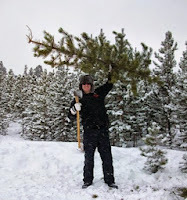 The Forest Service will begin selling Christmas tree permits on Monday, November 24, 2014, in their South Shore office and Wednesday, November 26, 2014, in the North Shore office. Permits are available for purchase until December 19, but are usually sold out by then. The last day to cut a tree is December 25, 2014. Permits cost $10 each, with a limit of two permits per family. Permit holders will be allowed to cut a variety of pine, fir, or cedar, in designated cutting areas. The cutting areas are all in the National Forest, with specific instructions on responsible cutting. Permitted cutting contributes to the reduction of over-growth in the forest and makes for a fun family outing. South Shore permit office: 35 College Drive, South Lake Tahoe, Monday-Friday, 8:00am to 4:30pm. 530-543-2694. North Shore permit office: 855 Alder Ave., Incline Village, Wednesday-Friday, 8:00am to 4:30pm. 775-831-0914.